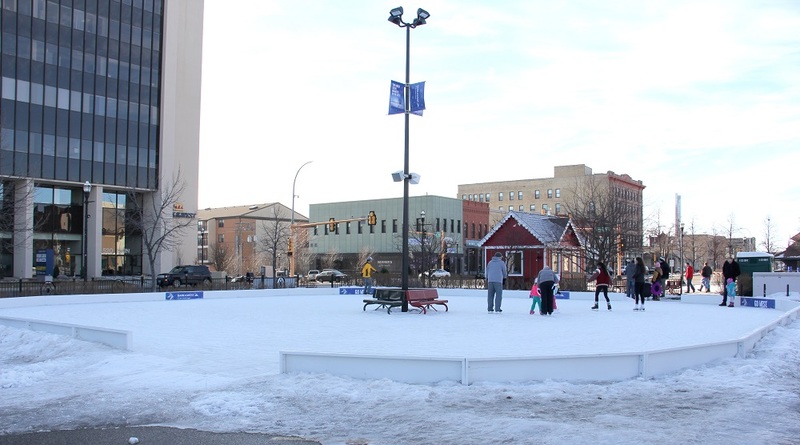 Locals skate at the newly opened ice rink in downtown Fargo. Photo by Reilly Myklebust. She said that while the rink is a little small, it has a nice setup. There are three benches situated in a triangle in the middle of the ice for people to rest on, and 20 or so feet of ice around it. Everyone skates in a circle, some toward the outside and some toward the inside near the benches, Bateman said. There were 20 to 30 people at the rink the afternoon that she was there. 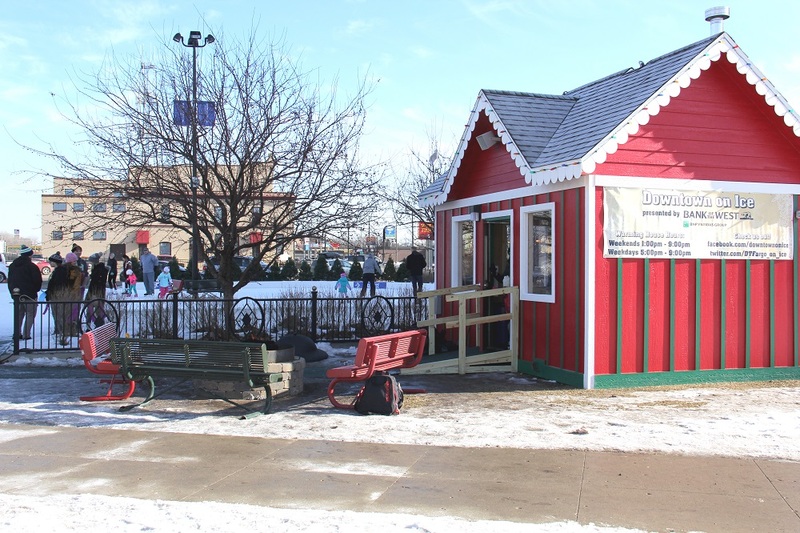 “There were a lot of little kids just playing around on the inside,” Bateman said. The rink is located on the northeast corner of Main Avenue and Broadway, and is also equipped with a warming house and nearby parking. “It’s really convenient to get to [the rink],” Bateman said. “There’s parking right there so there’s no difficulty parking your car.” It is open 5 p.m. to 9 p.m. Monday through Friday and 1 p.m. to 9 p.m. on Saturday and Sunday. The warming house is open at the same times.